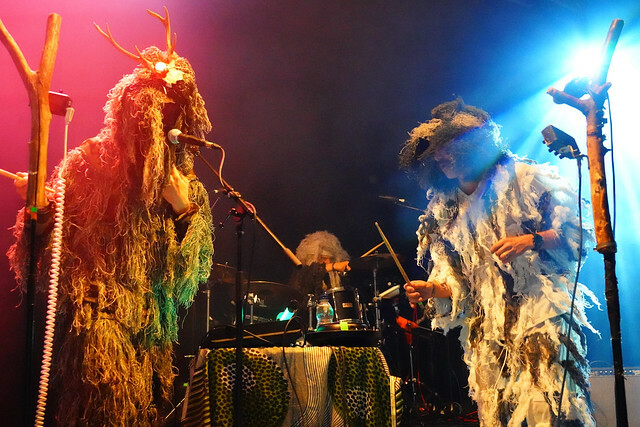 While the festival market continues to grow and ultimately become even more saturated, there are some you can always rely on, such as Green Man for example, now in its 16th and arguably most successful year to date. Situated on the Glanusk Estate high in the Brecon Beacons, just outside the town of Crickhowell, Green Man might be one of the most logistically remote festivals on the calendar but its also possibly the most picturesque. With its beautiful gardens, outhouses, and landscapes overlooked by the Black Mountains making a radical change from any of the numerous inner-city events currently on the circuit, it's a festival that's understandably attracted a loyally dedicated audience over the years. Which ultimately guarantees a complete sell out well in advance and often before most of the bill has even been announced. This year's event was no different, with the 2018 edition proving to be its fastest seller to date. Aside from its scenic locality and reliably strong line-up, Green Man has a number of different facets that set it apart from the rest of its competitors. While the main music stages don't open until Thursday, 5,000 - a fifth of its total capacity - people head to the site as early as Monday, its Settlement proving especially popular with families who've taken the opportunity to experience the best of both worlds; a week of live music and a holiday with the kids. Beyond its family-friendly ethos, areas such as the delightful Einstein's Garden offer crazy golf in the form of the Lifecourse Golfcourse, while the Nature Nurture provides a wealth of relaxation therapies from yoga classes to hot tubs and spa treatments. We haven't even got onto the food and drink yet which is, as you would expect, first class all over the site, if not the best we've ever encountered at a festival. While The Courtyard with its mountainous selection of 100 locally sourced beers and ciders proves to be a regular meeting point, the selection and quality of nourishment both liquid and otherwise also being reasonably priced all over the site. What that makes for is a slightly more earnest clientele than many festivals of its ilk with a demographic ranging from 3 months to 73 years and older. So while one complaint we overhear from a punter about the toilet paper being too coarse (true story!) makes the middle class accusations of Green Man slightly accurate, we'd much rather stand in a field alongside those that appreciate the finer things in life than those who'd rather piss in a pint pot and hurling it stage wards while the headline act play their big hit. Which brings us onto this year's headliners. 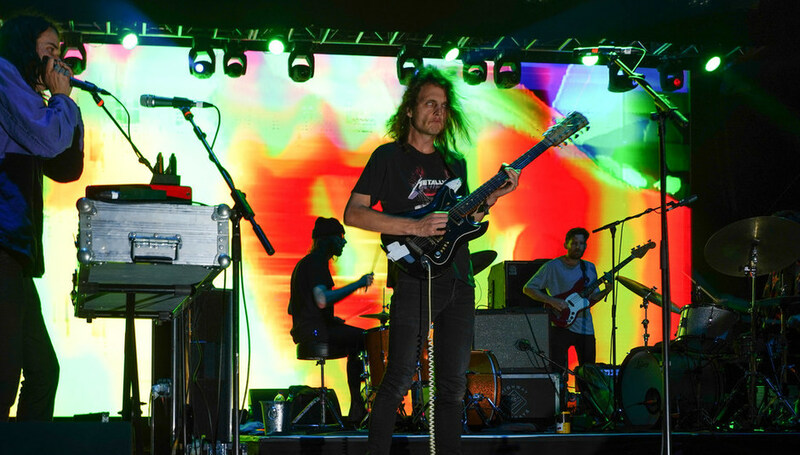 As with previous editions of Green Man, the organisers have taken risks and it's undoubtedly the least obvious bill-toppers from Friday King Gizzard And The Lizard Wizard who shine. An ambitious choice considering they have no big singles or very little radio presence, but what they might not have in the way of singalong anthems they possess in a performance that's explosive from the first to the last of their ninety minutes long set. Dismissed by some as a gimmick largely due to their name and prolific nature of the band's output, their convincing performance this evening proves enough to win over even the most diehard of sceptics. Not that Green Man is all about the headliners. On the contrary, in fact. It's commitment to new music is highlighted by the Green Man Rising Stage, which showcases a wealth emerging talent, much of it emanating from the valleys. Cardiff's Perfect Body are a welcome diversion on Friday afternoon, their ethereal mix of dream pop and psychedelia a little rough around the edges, but when gorgeously executed easily one of the highlights of the weekend. Fellow Cardiff outfit HMS Morris also play a delightful mix of leftfield electronica mixed with winsome folk that blows away the cobwebs in the Walled Garden. The previous evening, we're blown away by London based trio Bas Jan. A supergroup of sorts with esteemed solo artist Serafina Steer at the helm, their brooding fusion of post-punk and experimental chamber pop sits somewhere between The Slits and Stereolab which is absolutely fine by us. Xylouris White also take leftfield experimentalism that's impossible to categorise on Sunday afternoon, the duo's mix of traditional folk and brutal noise both exhilarates and boggles the mind in equal measures. It's probably fair to say DiS spends most of our time in the Far Out (second stage) tent and it's here where we're treated to some of the finest festival sets of the summer. 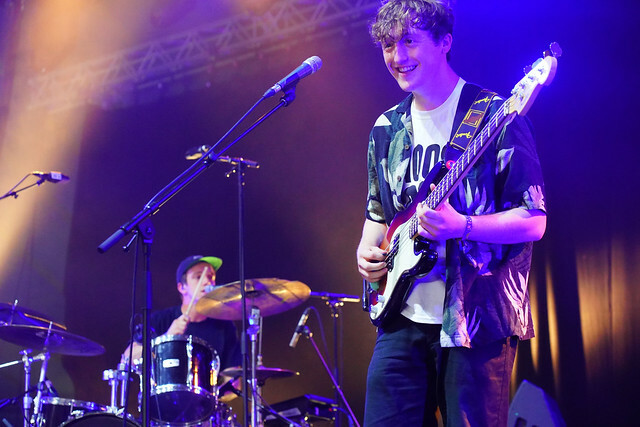 Boy Azooga have already released one of the debut albums of the year but it's in the flesh and on stage where Davey Newington and co really make an impact. While singles 'Face Behind Her Cigarette' and 'Jerry' warm up the huge crowd early doors, it's the closing double whammy of 'Splott Five-O' and 'Loner Boogie' complete with Big Jeff Johns on percussion duties that turn the Far Out tent into a mid-afternoon rave of sorts. 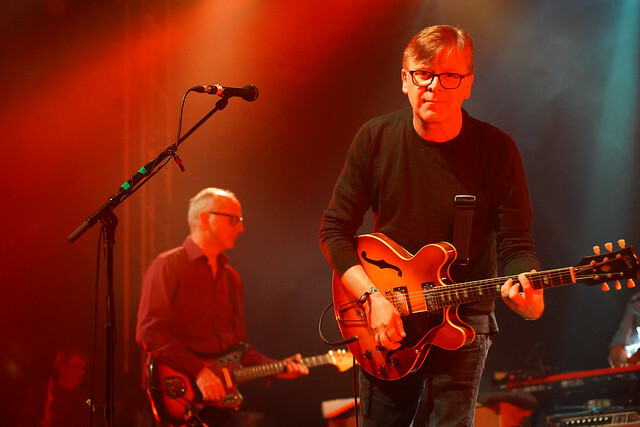 Meanwhile, both Teenage Fanclub and The Wedding Present turn the clock back to a time when indie meant independent and guitars were fashionable. While the former's career-spanning set - one of the last festivals departing bassist Gerard Love will play with the band - is a joy to behold that would have graced a headlining slot, David Gedge and co's Sunday evening performance - and let's not forget they were only drafted in as late replacements themselves - makes us yearn for a time when it was cool to play Top Of The Pops and look miserable while churning out hit after hit after hit. Someone asked me to describe Baxter Dury's music without mentioning his dad, and that's not always the easiest comparison given his late father's legacy, which his son has continued. There are elements of everyone from The Streets to Pulp to Etienne De Crecy. Also playing to a large crowd, this time on the outdoor Mountain Stage, he's a revelation as songs like 'Listen', 'Picnic On The Edge' and 'Miami' bring the party to Green Man, even if the night's still relatively young. Later on, Snapped Ankles' brand of psychedelic weirdness is as out there a Saturday night experience as you're ever likely to encounter, and hugely enjoyable too, while Jane Weaver's Sunday teatime collage of winsome electronica and colourful backdrops makes the previous night's hangover subside with ease, as did Glaswegian four-piece Spinning Coin's discordant take on C86 and its many sub-genres. With the weekend drawing to a close, it's left to a double whammy of psych rock heavyweights The Black Angels and The Brian Jonestown Massacre to bring the curtain down on another fine year. Playing a set that's heavy on material from both their debut Passover and most recent long player Death Song, the former's rhythmic surge proves a perfect aperitif for Anton Newcombe and co's showstopping finale. 'Hold That Thought' and 'Who Dreams Of Cats?' from this year's excellent Something Else ably demonstrates they're anything but a spent force even after a quarter of a century, as does 'Drained' off their soon-to-be-released next record. There's also a guest vocal from The Soundcarriers' Leonore Wheatley on 'Sailor' and a rousing rendition of early composition 'That Girl Suicide', both of which are highlights in a flawless set. As we leave to watch the now traditional burning of the Green Man which marks the end of each year's festival, we're already pining for the 2019 edition. Green Man takes place in the Brecon Beacons every August. For more information about the festival, including dates and tickets for the 2019 edition, please visit their official website.